On July 7, 2017, residents of the city of Jarosław filled their town market to celebrate the start of the summer holiday season. It was there, in the center of the picturesque town in the foothills of the Carpathian mountains, that our outdoor event tent was located. It quickly became a tourist attraction unlike any before seen in these parts! 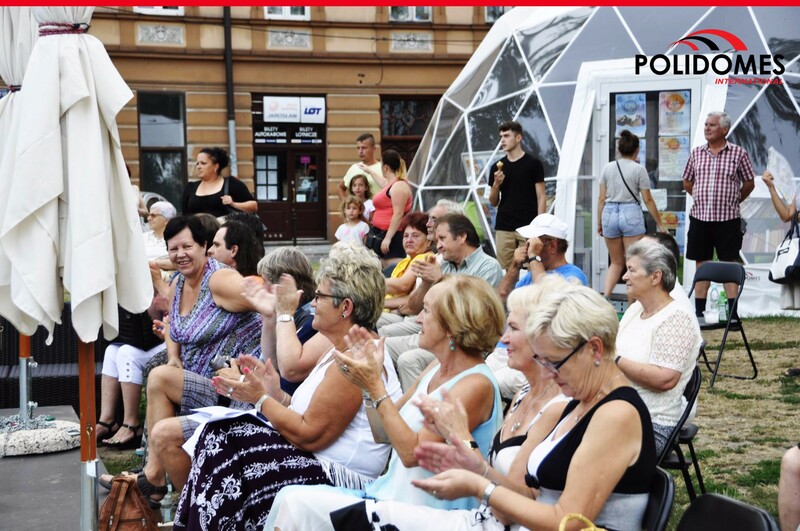 The municipal authorities in Jarosław received funds from the Ministry of Culture andNational Heritage, allowing them to organizing the “Cultural Summer in the City” event. 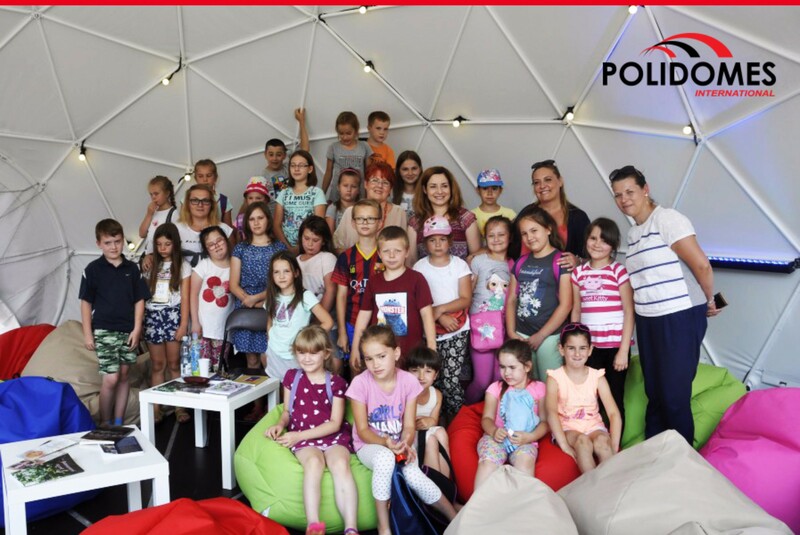 For just this occasion, a special area was organized on St. Michael’s square, and our Polidome P50 event tent became the focal point of the festivities. The area was called the “Square of Culture”, and there took place all the most important cultural events in the area over two months. 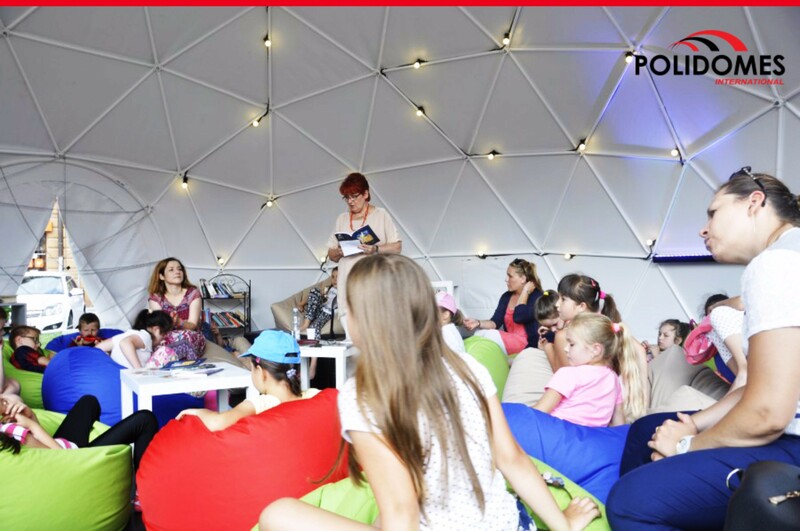 “Cultural Summer in the City” was launched with “Nemno” theatrical presentation, in which animated finger puppets portrayed the turbulent fate of “Red Riding Hood.” The original spectacle attracted a large crowd of onlookers, and a similar number turned up to get a closer look at Polidomes’ impressive geodesic dome tent. 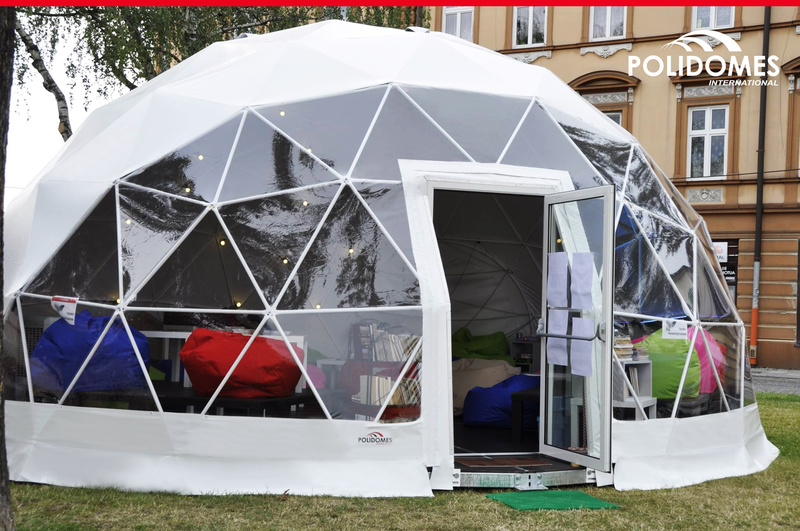 The spherical dome tent purchased by the Center for Culture and Promotion in Jarosław was a Polidome 50 with a transparent front and premium floor. 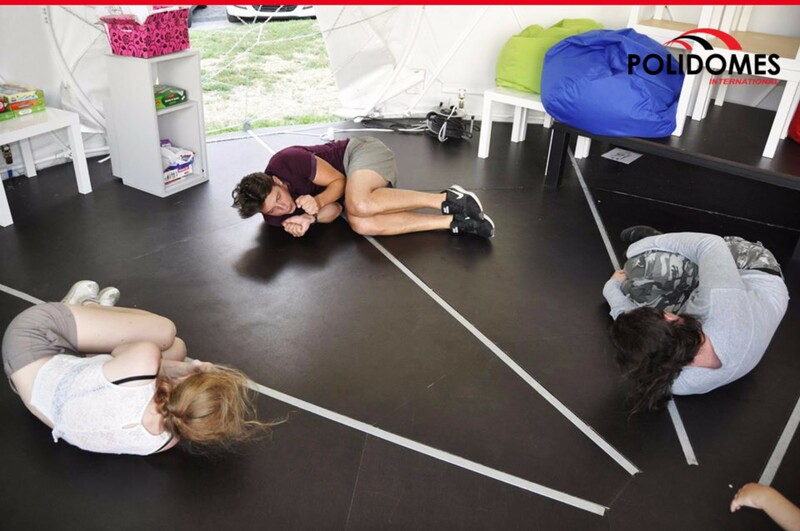 The tent was also equipped with air conditioning, colourful bean bags and energy-efficient LED strips, creating an exceptionally welcoming micro-climate inside the dome. Numerous concerts, workshops and Zumba classes were organized in the event shelter throughout the summer. Assembled guests, protected from the unpredictable mountain weather by a waterproof nylon cover, were able to enjoy the entertainment in peace. In such a unique place, there was simply no time to be bored! The youngest played board games, read books and colored in specially-prepared albums. The geodesic domes ones again proved to be a hit; this time, it fulfilled the role of a cultural center. What are the advantages of such a solution? Extremely quick installation and original shape, serving as a stark contrast to the grey, hackneyed, industrial motifs of communist-era Poland. 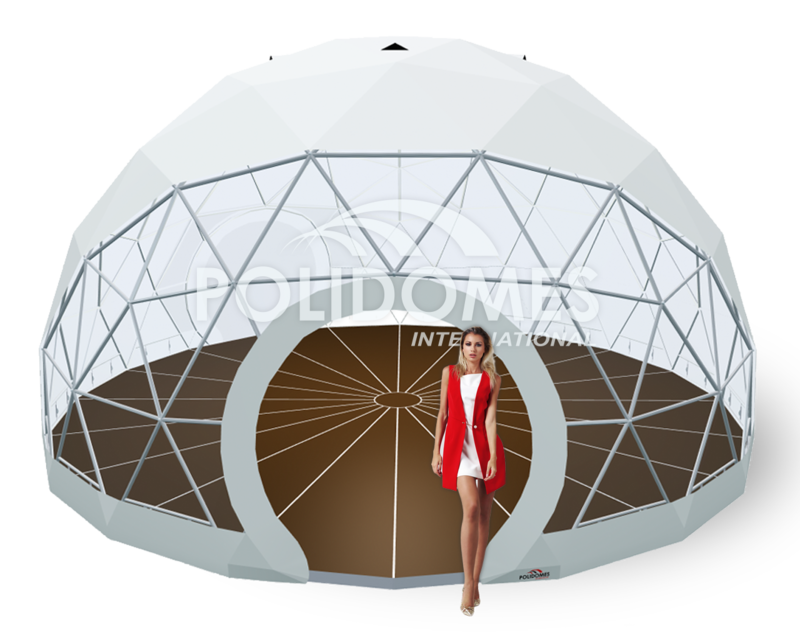 Spherical dome tents have their own air conditioning and an elegant, hardwood floor. Thanks to their exquisite design, they can fulfil any role, and are limited only by the creativity of organizers. 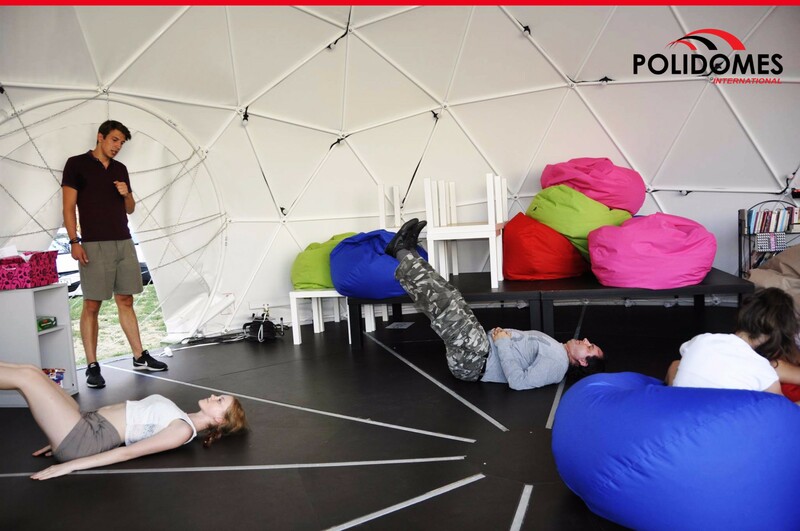 Geodesic domes are the perfect solution for local authorities, serving as mobile exhibition pavilions where events such as those organised in Jarosław can take place. Thanks to their external attractiveness and internal functionality, our tents can play host to any size of event, from harvest festivals to all manner of local holidays and events.